These annual awards rank the best hotels and resorts in the world. 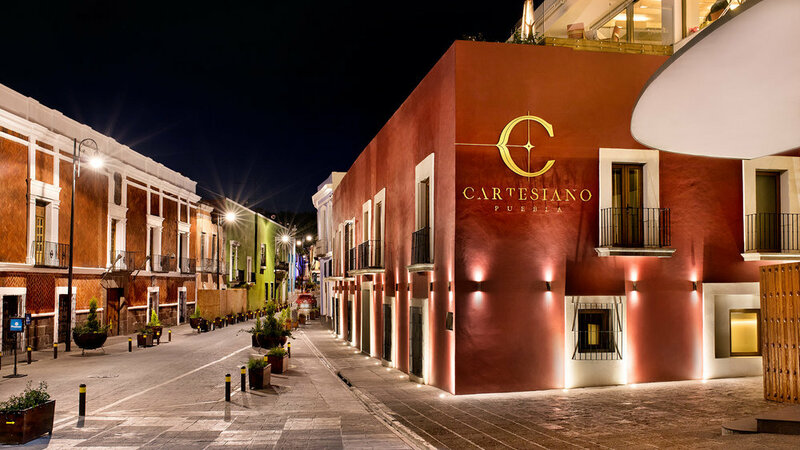 This prestigious ranking solidifies Cartesiano as one of the best hotel experiences in Mexico – and the world. The hotel’s total ranking is 98.21 overall, which says a lot about the guest experience and service at Chable. Congratulations! Casa San Agustin has once again been named to the 2018 Condé Nast Traveler Readers’ Choice Awards! Casa San Agustin was named to the category of “Best Hotels in South America,” with a ranking of #18 and a score of 95.83. This is terrific! For over 15 years, we have challenged conventional luxury through relaxed hospitality, because we know the future of travel is local. We are a 100% Mexican company that cares about it’s clients best interest. We make distinctive places that blend nature with local culture. We are not your typical hotel group, we do it differently. We drew the attention of the luxury market to the Riviera Maya through the conceptualization, construction and operation of Ikal del Mar in 2002 and Esencia in 2005. Our hotels were the first ones in the region to achieve rates above $500 USD, offering a distinct luxury product than the hotels that at that time hoarded the market. 2017, Prix Versailles: "Best Hotel in the World" in the categories of Architecture & Design. 2017, Virtuoso program: included inside the prestigious hotel program. 2017, Condé Nast Traveler: Hot List of Best New Hotels in the World. 2017, Ahead Americas Awards: Hotel with best Landscape. Condé Nast Traveler: 21st Annual Reader's Choice Awards, #1 Resort in México . Condé Nast Traveler: 22nd Annual Reader's Choice Awards, Top 3 Resorts in México . Travel & Leisure Magazine: 500 of the World's Best Hotels. Whether you just read about us on a magazine or someone you know just came back from one of our hotels, you know you want to visit us. Because we craft compelling hotels. We are probably on your list.